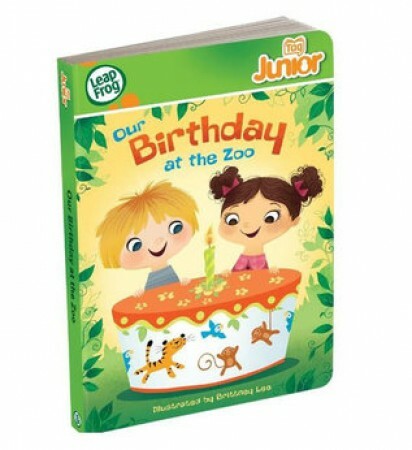 Make sure you don’t miss out on the part with the Our Birthday at the Zoo interactive learning LeapReader Junior book! The book jumps to life with a simple touch and has 150 audio responses. Engage in over 24 fun activities all specially designed to let toddlers take charge and explore. You can check your child’s progress with the online Leapfrog Learning Path as well as downloading printable activities to carry on the learning!